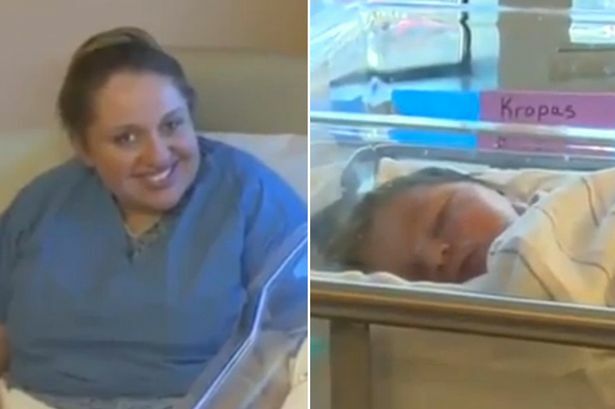 A 47-year-old woman found out she was pregnant only one hour before giving birth to a healthy baby girl. Judy Brown, from Massachusetts, went to Beverly Hospital complaining of severe abdominal pain, to then be told she was actually in labour. An hour later, much to her surprise, she gave birth to an 8-pound baby. When Judy noticed her stomach had started to grow, she assumed it was because she was getting older and most probably due to menopause. "It was a little bit scary getting into the hospital thinking something was really bad was going on," Brown told ABC News. "To understand and take in that was I pregnant and was about to go into labour..it was very overwhelming." Brown and her husband, Jason, have been married 22 years and this is their first child. The couple were so ill prepared they had to borrow a car seat and a bassinet just to leave the hospital. The parents have named her Carolyn Rose after both of their mothers, and baby and mother are both doing well, according to a hospital spokesman.